ASAP has ALL your ventilation needs. 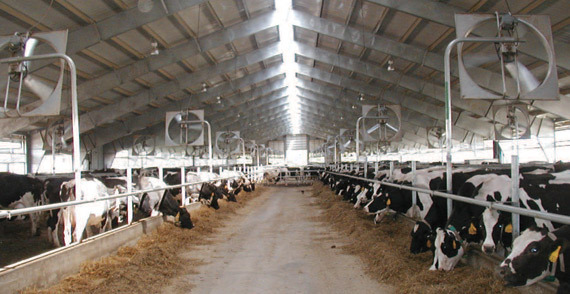 One of the key factors for producing a high milk yield are the living conditions within the stall: Cow comfort plays a key role in producing high-quality milk. 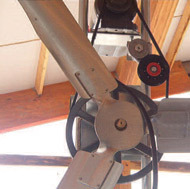 So maintaining a stable stall climate with suitable curtains and ventilation openings is absolutely essential. 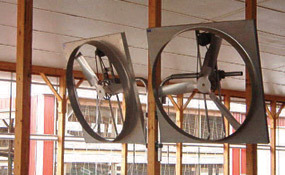 And to distribute fresh air around the stall, you need powerful fans. 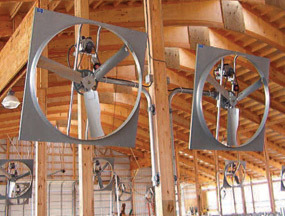 As a Total Solutions provider, GEA offers a range of different fans for your stalls that can be used flexibly and complement each other perfectly. 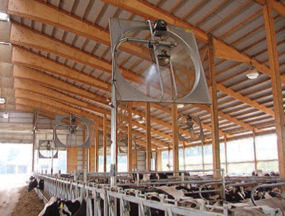 We have MANY options to help you cool your cows. Please contact us for more information. 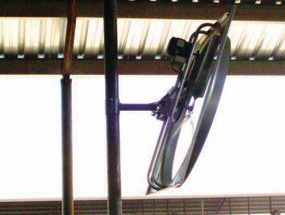 Available in 52” and 60” panel fans. 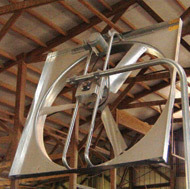 Unique mounting systems for all applications. 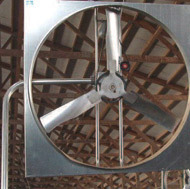 Fan Placement = Maximum of 50 ft.
Air speed ranging from 5 to 8 mph. 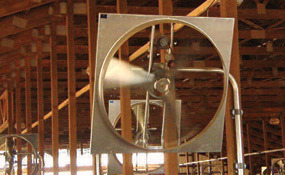 Fan Placement = Maximum of 60 ft.
Air speed ranging from 6 to 10 mph.